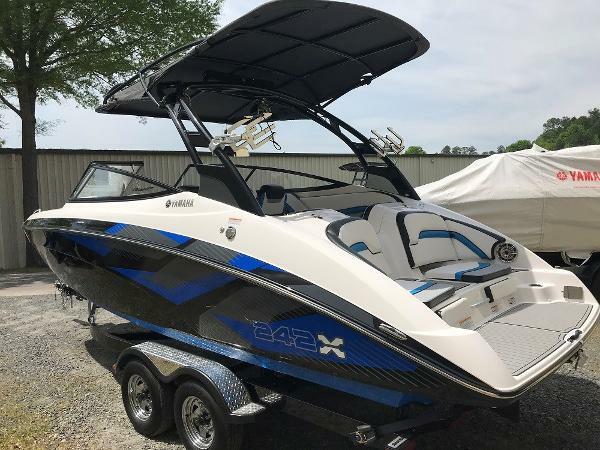 2016 Yamaha Marine 242X E-Series A high performance wake boat boasting cutting-edge electronics, innovative technologies and advanced wake control functions. Standard features include Yamahas triple ballast system, award-winning Connext interface featuring new Drive Control and a powerful stereo with sound bar, subwoofer and premium speakers. This boat was meticulously cared for by its one owner, it has lived on Lake Wylie and never seen salt water. It is compatible with Yamaha’s new Surf Package. 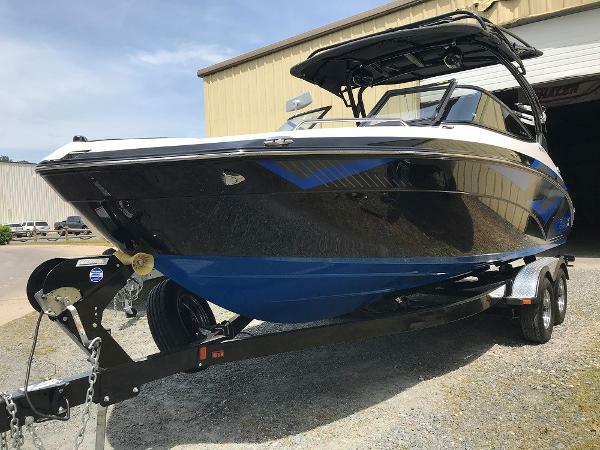 Storage is abundant and this is sure to make someone a great boat for years to come. 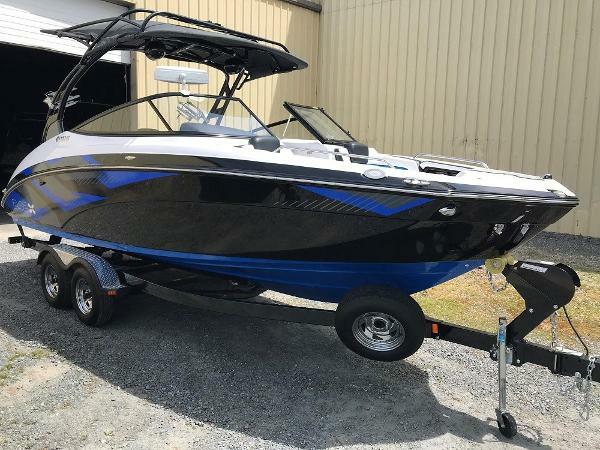 The Yamaha 242XE shines at cruising, skiing, wakeboarding, surfing and coving. Features Include: Premium Tower This all-new tower design includes a built-in bimini, solar panel charger and built-in racks. Helm Features The 242X features push-button start, throttle-by-wire and Connext with triple ballast for up to 1500 lbs of programmable weight. Mirror Oversized billet aluminum mirror for a perfect towing view. Trailer is included. Seller E & R Boats, Inc.